Yesterday, i have been wrote article about how to install/enable Policyd on Zimbra 8.5. The following article can read at this link https://imanudin.net/2014/09/08/how-to-install-policyd-on-zimbra-8-5/. Now., i am will describe how to configure rate limit sending message with Policyd. 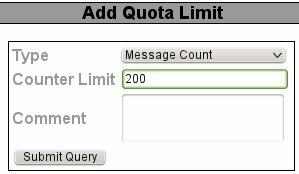 Why we must configuring rate limit sending message? 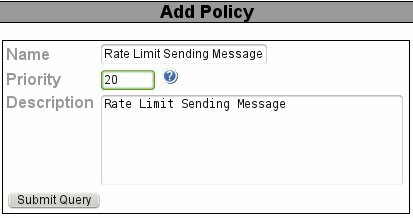 How can i exclude the spam maibox from the rate limits? Thank you for an article, it works wonders. Please suggest how to make a user an exception in policy, e.g. user1@mydomain.com & user2@mydomain.com should be allowed to send unlimited mails within hour. 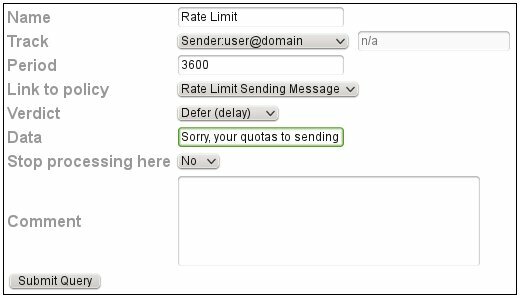 Whereas on rest users (in domain) rate limit should be applied. No Luck, still policy is getting applied on both. Please help with details steps to add exclusion. I have a few domains and just need to prevent my server sending spam messages to outbound. I need to configure policyd such that, there should be a general quota for all the users of all my domains in terms of number of messages sent per day, and exceptions for only a few user accounts. Policyd permits messages from the domain until its limit (4), and then rejects the rest, even the ones coming from the username@mydomain.com. I can see from the log that these messages are matched with the domains policy and not the users policy.